"Healthy women in their 20s were vulnerable to arterial tearing, a rare condition understood to be genetic, but doctors were still unsure of its cause, Grines said. "There's a genetic predisposition for tearing of major arteries, but there's much less known about smaller arteries. We're trying to collect information and we're doing blood tests to see if it's genetic." from the body, as well as estrogen dominance. I guess the idea of Kiwi women dying of broken hearts is a romantic and catchy idea that makes for good press copy, but I think they are way off the mark. Boo, hoo, hoo! More research is proposed. Gosh! I find these articles frustrating to read. The author's reference to arterial tearing in the article grabbed my attention. Its a condition that I have come across several times in high performance female athletes and, more rarely, in male athletes. The treatment for this condition is a mix if retirement from competition and/or grafting pig or bovine arterial tissue over the lesion. This surgery is very high-risk, costs at least $30,000 and, in my experience, does not work - the condition comes back, if it ever went away! The athlete retires. This is because the real underlying causes have not been dealt with. What happens is the artery is becoming scarred and inflexible to the point of tearing (cracking). It is usually seen in female endurance athletes at a point such as the groin or the back of the knee. It is at such points in the body that extreme repetitive flexing and extending of the arteries happens, such as when running and cycling. Think of the artery as being like a plastic garden hose that has been left out in the sun for too long and perished. If it is is flexed repeatedly, it will crack and eventually leak. This is what is happening to the arteries of these young women. But why? Why is arterial scarring and tearing more common in young women? First, its not a genetic problem, unless you think that being female is a problem. I believe the cause is very simple: Zinc deficiency combined with excessive flexing of the arteries during to extreme exercise, such as happens in professional cycling or competing in Iron Man. Zinc is essential for healthy connective tissue. When zinc is deficient connective tissue becomes thin and weak. Instead of being like bouncy, stretchy lycra fabric, the tissue becomes more like a rotten sail cloth. Instead of flexing like a trampoline bed, it tears apart. The best example of this is the sub-dermal tearing of the skin in a zinc deficient person, causing permanent stretch marks. Incidentally, if the deficiency is due to a relative excess of copper relative to zinc in the body, then the stretch marks will be silver. If there is an absolute deficiency of zinc in the body, then the stretch marks will be purple. Zinc is used by the body for a number of purposes, including tissue repair and healing. An athlete is constantly causing tissue damage and therefore requires much, much more than the average person. More than can be supplied even with the best of diets. 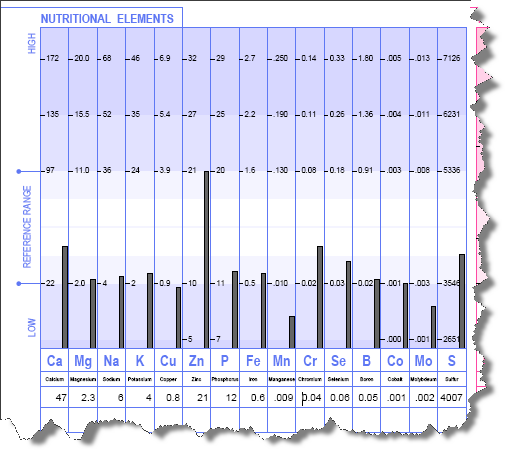 Every athlete I have tested, including myself, is low in zinc. Our foods are deficient in zinc. New Zealand soils have little or no zinc. Therefore, unless zinc has been added to the soil our crops and animals are poor sources of zinc. The best sources of zinc come from the offal parts of animals (assuming the animal is not zinc deficient). Few people eat these parts nowadays. Young women need much more zinc than men. The female hormones, estrogen and progesterone, require zinc and copper for their manufacture. Copper and zinc must also be in careful balance for there to be balance between estrogen and progesterone. High copper, such as occurs when on many contraceptives, the most obvious being a copper IUD, tricks the body into thinking it is pregnant. The consequence is an imbalance between copper and zinc - a relative deficiency of zinc to copper. Women need more zinc as compared to men for this reason. This imbalance between copper and zinc will predispose the woman to collagen tearing. This will be seen as young women being more susceptible to unsightly stretch marks, ligament and tendon tears, stress fractures, scoliosis and non-traumatic disc prolapse. Female contraceptives have a lot to answer for. Is easier said than done. 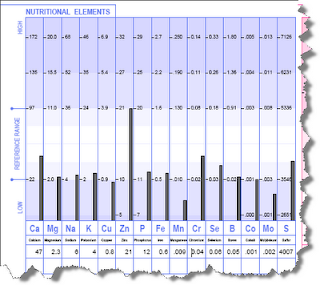 Zinc is a funny element: The less you give, the more you absorb. The more you give, the less you absorb. So, the key to supplementation is to take small amounts of zinc throughout the day every day. I have found that the best way to do this is through the Super Smoothie with extra added zinc, which you drink a glass of several times a day. Is there going to be a gene therapy solution? Come on! - Name me one gene therapy cure that has come from the countless millions that has been spent to date on searching for the genes that cause disease? I can't think of one - can you? I am becoming a real cynic of these gene research programmes. I feel they are distracting all of us from what we already know, including the practical solutions. At the same time millions of precious health funds, much of it donated, is being diverted into endless and extremely costly research which may never produce a practical, affordable health benefit. When these genetic studies are reported, there is always the recommendation that there needs to be even more research into the genetic causes. Its an endless gravy train for these researchers and the institutions they represent. Of course there should be research into these matters but this should not be at the cost of millions of dollars being diverted from practical, grass-roots health interventions. Yes, women, by virtue of their hormones, and therefore, their genes, need more zinc. Instead of wasting our time trying to find the genes that predispose a woman to arterial tearing, let's get on with correcting the root causes - Contraceptive use, zinc deficient diets and poor training programmes and competitions that thrash these young women into a state of chronic exhaustion.